We have undertaken a feasibility study to examine ways to refurbish and extend office space for The Ernest Cook Trust in Fairford. The existing buildings are sited in a fantastic walled garden in Victorian estate buildings. The scheme proposes to remove all twentieth century alterations and additions to the original buildings to rediscover their spacious grandeur and insert a new cloister and wing to provide simple circulation and extra office accommodation. 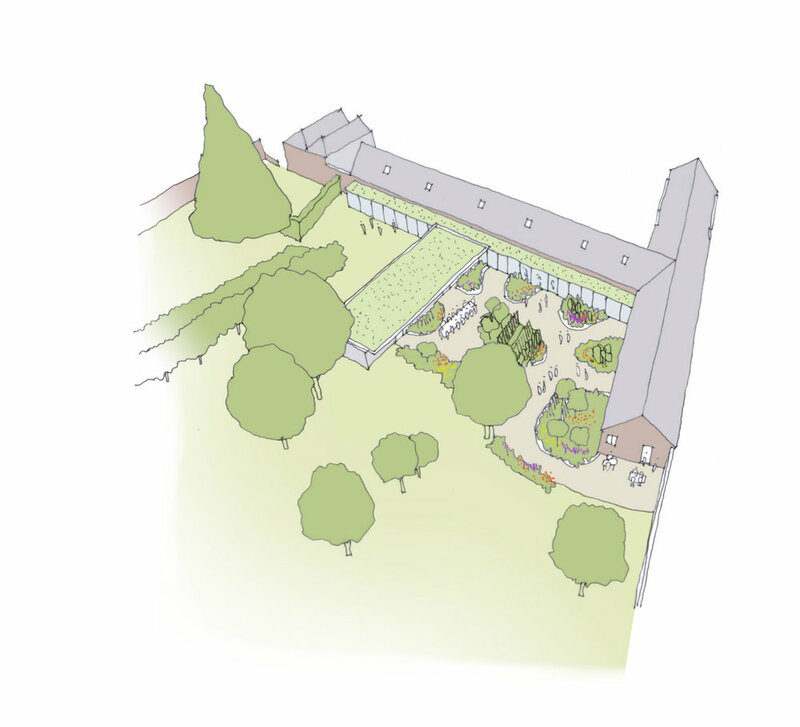 The new wing creates two external courtyard gardens.